Tribal knowledge refers to the collection of procedures and information known by certain groups but not commonly understood by others in the company. It gets passed on from experienced team members to new members of the company and is not often recorded. Tribes are a necessary part of a successful business, but each tribe’s knowledge must be documented to prevent confusion and lapses in productivity. The problem with tribe thinking rears its ugly head when experienced team members leave and someone new is expected to take their place. Training requires a serious time commitment to properly pass along all of the company standards and everyday procedures. This is where we find frustration. Current team members see these practices as common knowledge. They also describe them from their own perspective and leave out the minutia that can make or break a process. It doesn’t happen on purpose or out of spite, but it does cause a breakdown in communication. 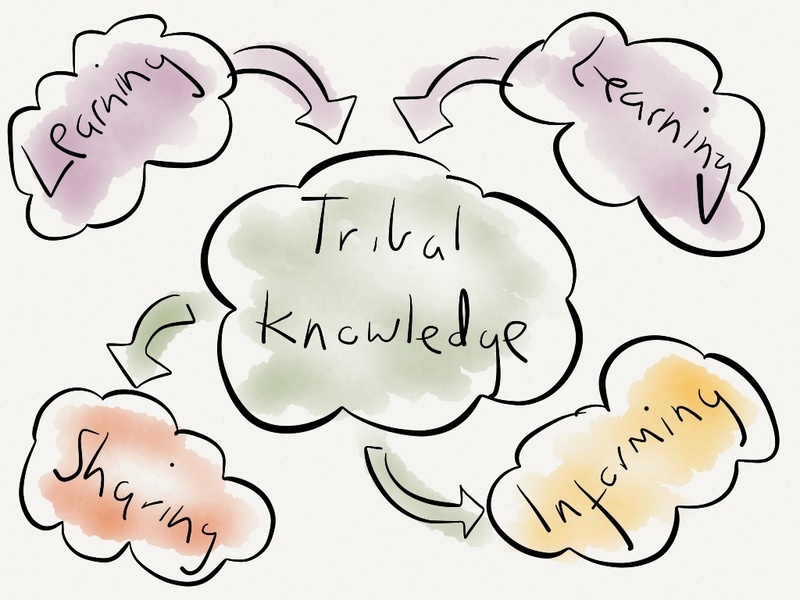 It’s difficult to defeat tribal knowledge completely, but intensive documentation can alleviate some of the issues. You can’t document everything, but keeping meticulous notes in an employee manual will lessen the miscommunication among team members from different tribes.